There is a unique way in which decks add style, class and even space to your home. Decks are fantastic and awesome extensions to your property and a cool place to relax and entertain. 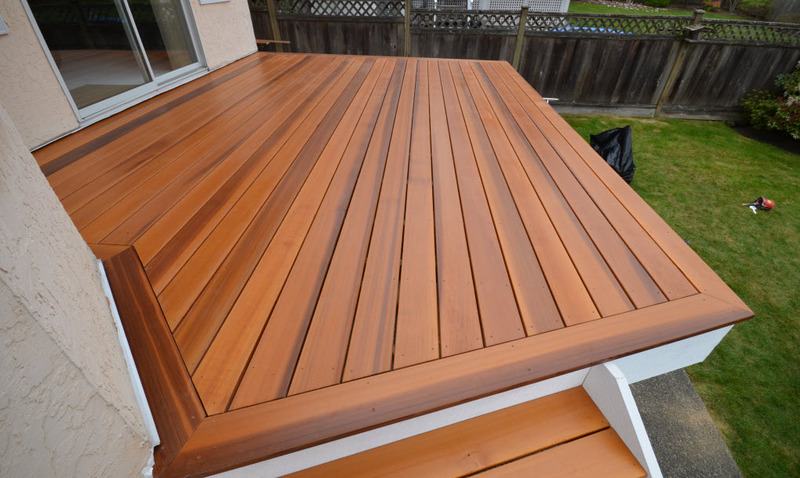 A well designed and kept deck boosts the beauty and value of your property, regardless of your chosen material. Admittedly, decks are a feature that potential home buyers point to with insatiable interest. They are especially appealing to buyers who are family-oriented. This notwithstanding, decks require proper maintenance for them to serve this aesthetic value and any other purpose. Whatever material your deck is made off, the investment you put in it impacts on you both emotionally and materially. The deck is one of the places where individuals experiment artistically. Finding flowers and other ornamental objects here is familiar. This is why it is an ideal space for entertaining your guests and for your relaxation. With time, this space becomes part of you, and there is a personal attachment to it. Therefore, it is most appealing when it is outstandingly in good shape. Besides, the flowers, flower pots, chairs and tables found on the deck come at a cost. Protect them through routine maintenance of the deck and its accessories. After all, you do n’t want to run down your investment by failing to maintain it properly. It is one of the spaces that give your home market competitiveness compared to other properties without a similar feature. The deck is an outdoor space that is exposed and prone to weather changes. If it is not adequately maintained, its deterioration will ultimately be faster than indoor areas. Among simple ways of keeping your deck is regular sweeping to get rid of cumulating soil, leaves and other particles. Brushing through the boards ensures that dirt does not stick on spaces attracting fungi and moisture that gradually damage the material. Your deck can serve you for a relatively extended period of time with simple maintenance techniques. Where significant repairs are needed, seek restoration service from qualified professionals within your area. One of the reasons why the deck is a precious outdoor space is its ability to blend with nature. To keep it fresh and inspiring, maintain, the floor, the bars, the poles and other attachments regularly. Depending on the space underneath the wood(or whatever material is the deck floor) timber may grow weak out of natural processes or even human activity. Keep in mind that this is one place where you can refresh your memory or even reignite your creativity. It is paramount that it retains its excellent levels of cleanliness, neatness, and order. As you go about your maintenance on the deck, you will be able to point out sections and materials that are wearing out. In some cases, decks might go unused for several days or months, especially if the occupants are away. It is during maintenance that you establish segments that may be falling apart such as broken or decaying wood. Rotten wood is definitely a primary reason why decks collapse. Flowers and planters kept on the deck also need to be held in check, lest they overgrow and lose appeal. Trim them to appropriate size frequently. Flower vases should also be checked for breakage and accumulation of moisture underneath. Among areas where you must pay particular attention is the ledger(the framing that joins the deck to the rest of the house). Use a flashlight to check underneath the deck for any damage on the ledge. It is advisable to have the ledger attached with lag screws as well as nails to enhance firmness. Granted, the space under the deck should be treated as the attic inside your building. Under the right climatic conditions, it can turn to a breeding ground for unwanted guests such and mice and rats. Properly maintenance will give away signs of such organisms. The deck is your secret marketing strategy for your home in case you place it on the property market. It would be detrimental to have it up for sale with a poorly maintained deck, no matter how beautiful the design might seem. It is estimated that homes with a deck can add up to 80% of property value. Isn’t this motivating enough to keep your deck in good shape? Maintain the deck without any reservations at all, and it will give you the value you deserve all the day of its/your existence. Luckily, deck maintenance can be simplified with home-made do-it-yourself techniques, making it less costly and done conveniently. After all, your deck is at risk of permanent damage if you don’t check on it regularly.